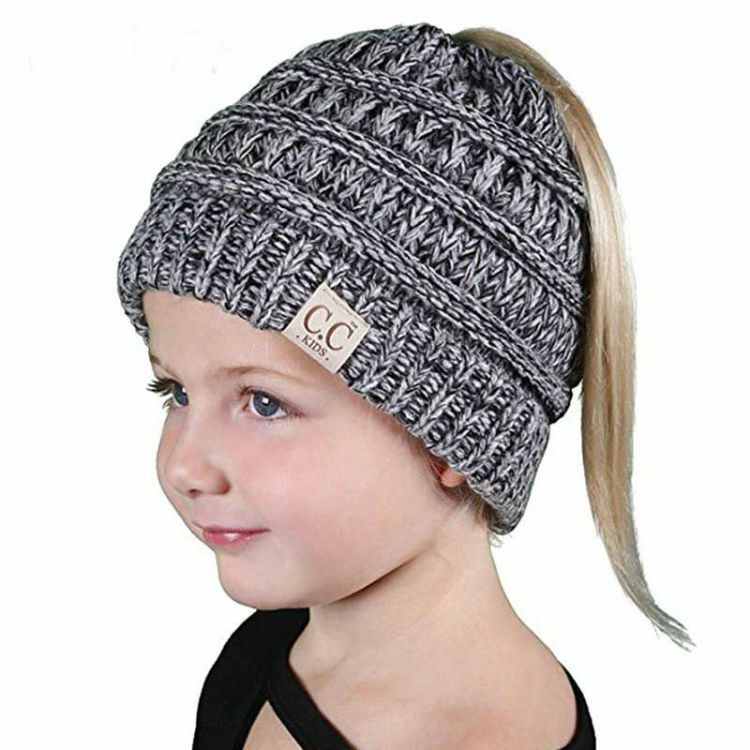 Our Fashionable Knit Hats for children are the perfect fit for the pony-tail lovers of the world! GREAT FIT: BeanieTails have the same awesome fit as our ribbed knit Children’s Winter CC Beanie Hat (6.5” long by 7” wide lying flat), but with the option of putting your hair up, this beanie adds even more comfort! Cozy and cute, it’s a perfect hat to play outside in to keep you warm and keep your hair up and out of the way. Wear hat tighter around the head for a high pony tail or bun, or back further and slouchy for a lower pony tail or bun. Hat size 6 to 6-3/4, ideal for many kids age 2-10. Perfect for pulling your littke girl's messy bun or high ponytail through on chilly days. Keep your child's whole head warm without your bun or hair in the way, high or low opening, depending on how you wear it.